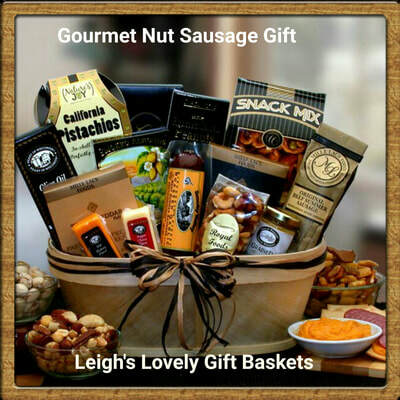 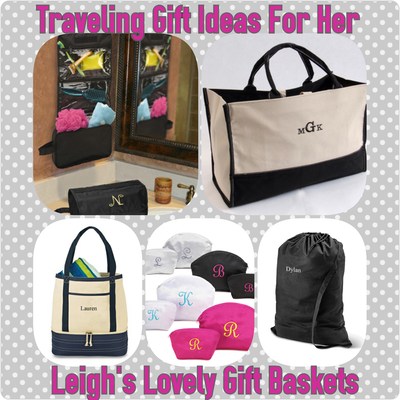 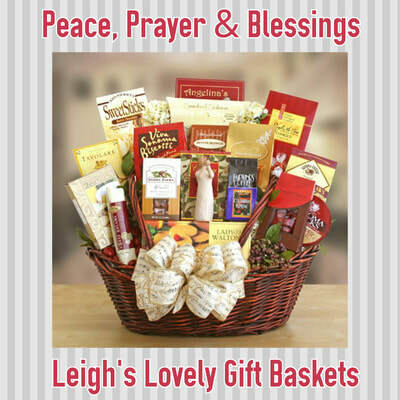 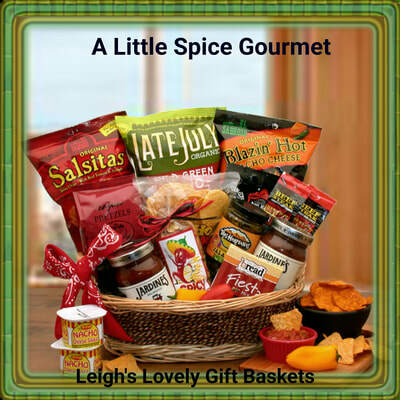 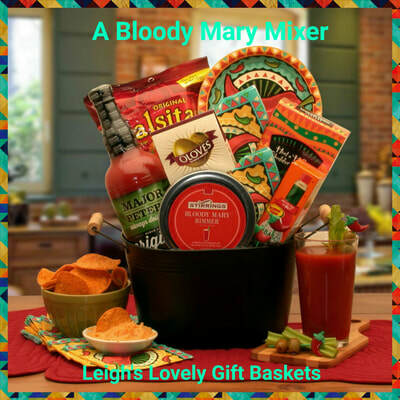 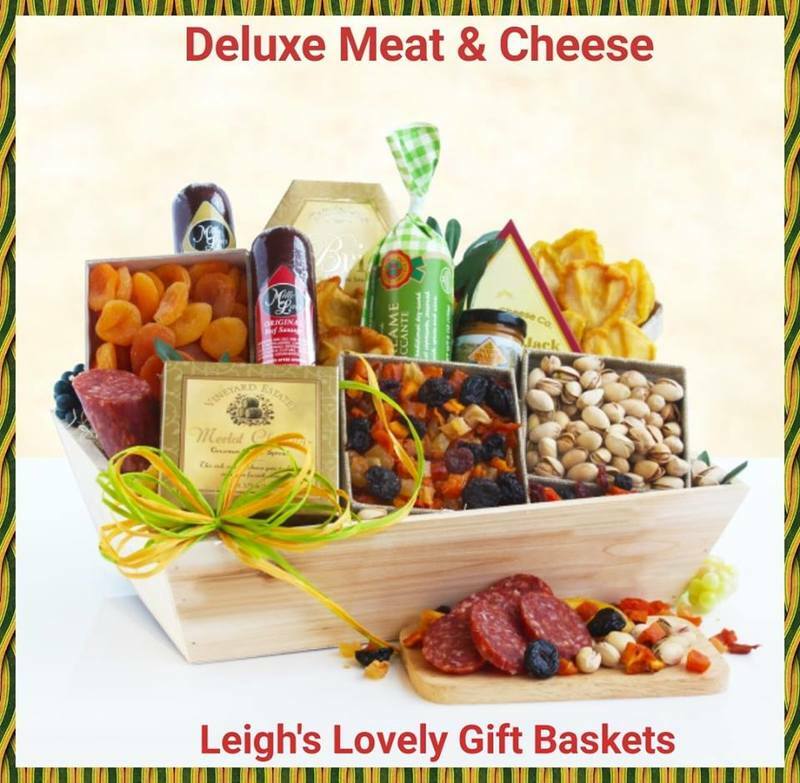 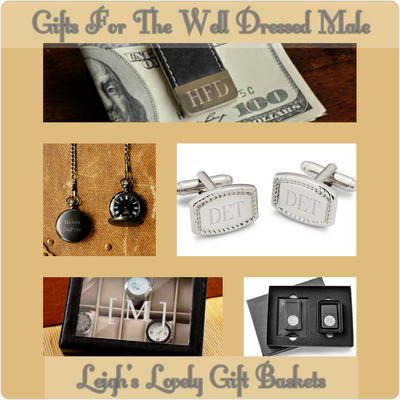 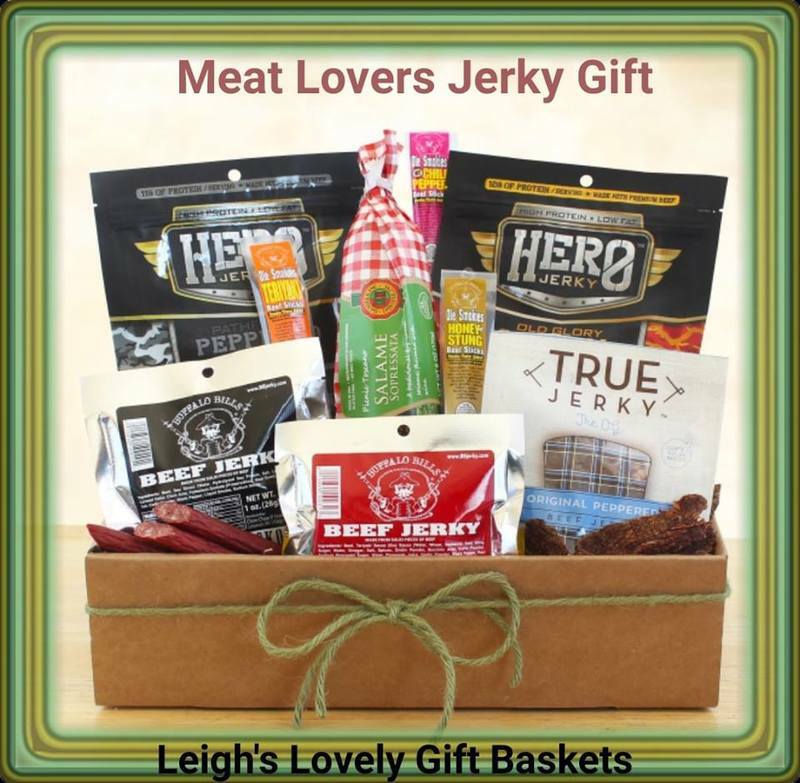 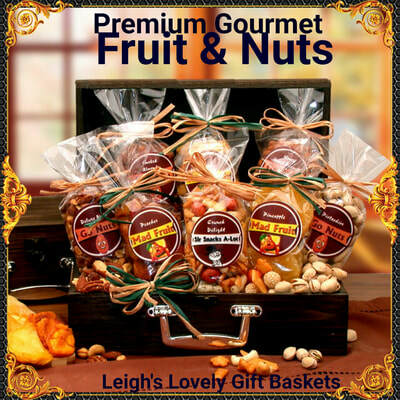 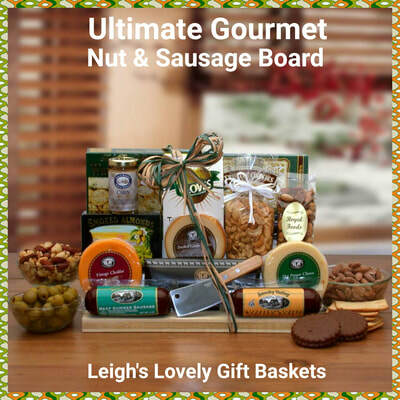 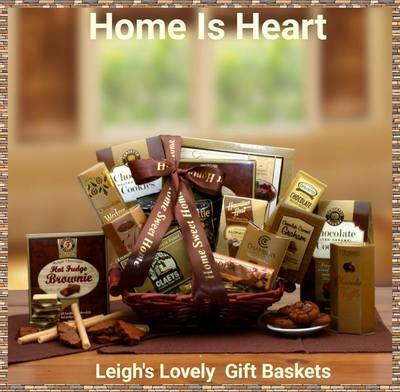 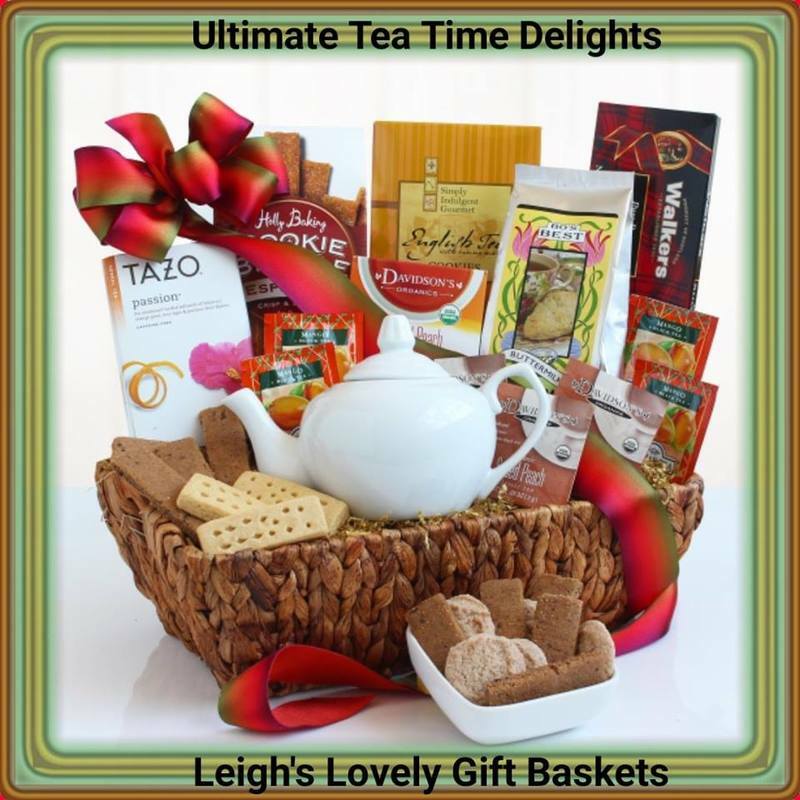 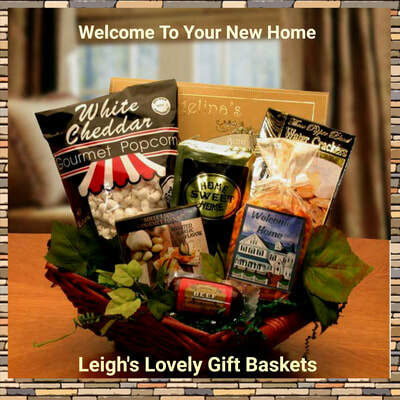 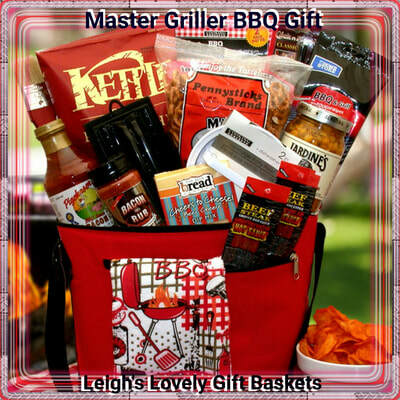 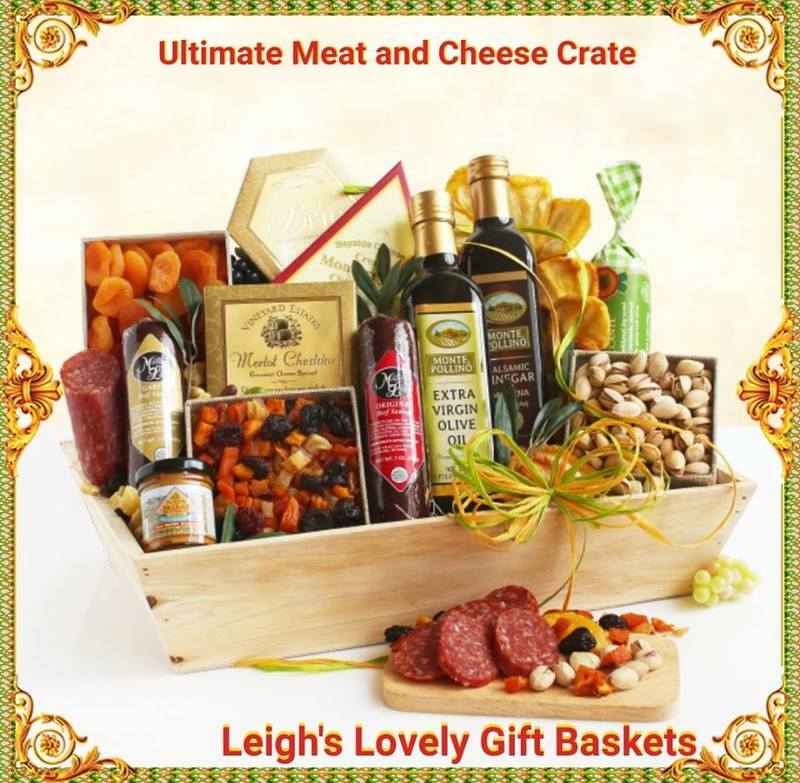 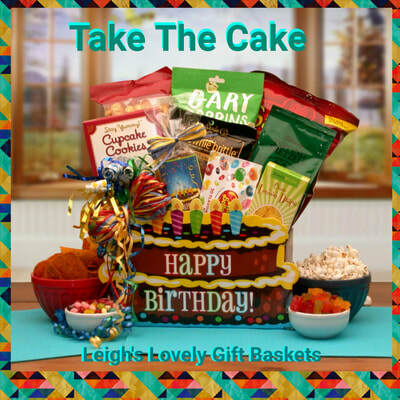 Click here to shop from Leigh's online gift boutique! 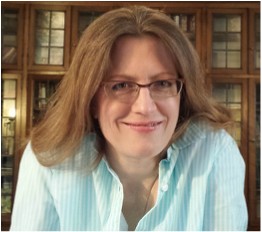 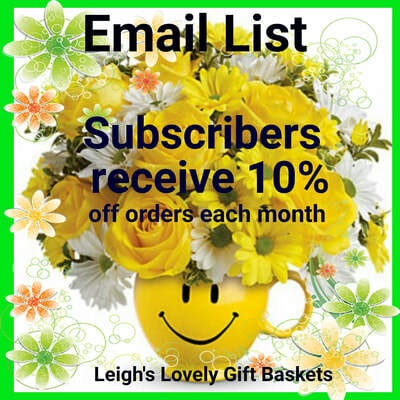 Click here to subscribe to Leigh's Monthly Newsletter! 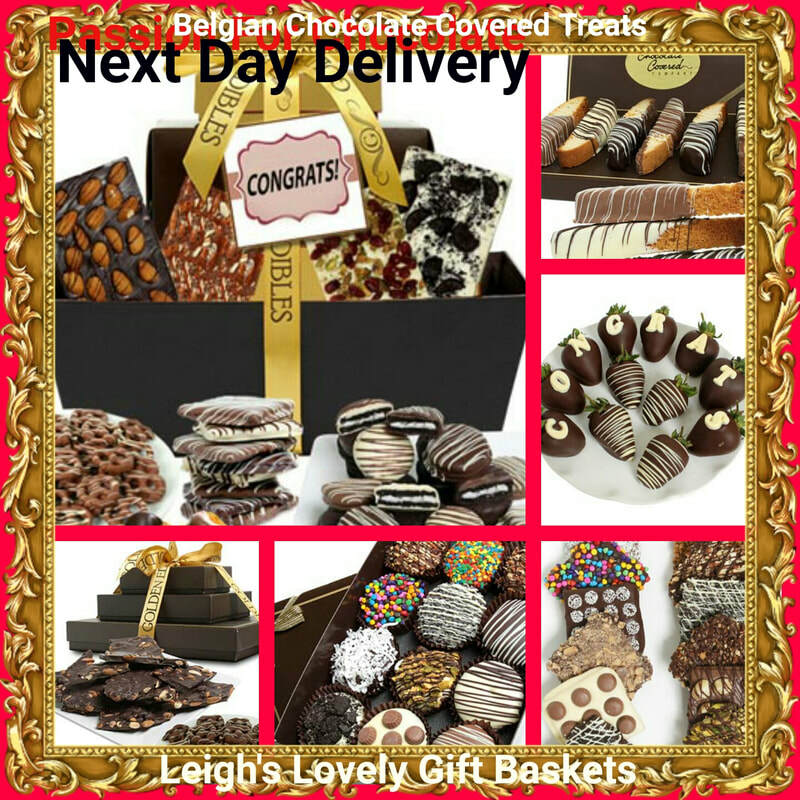 Belgian Chocolate Covered Gifts with Next Day Delivery Service for $16.95. 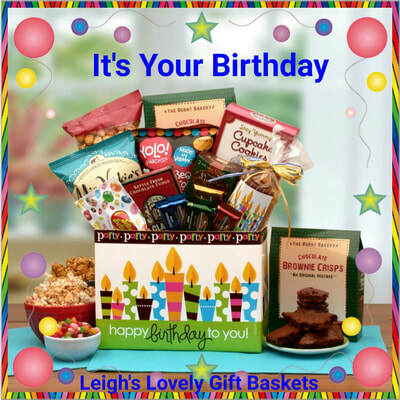 More selections are available. 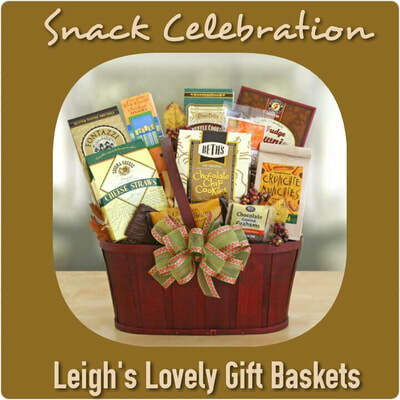 Banner links to category via the Congrats Chocolate Gift Tower in the upper left . 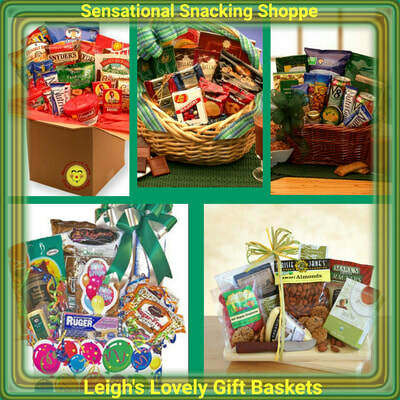 Corporate Logo Ribbons will add a personal touch to all gift baskets you send! 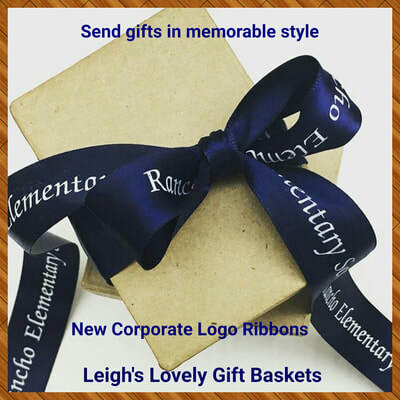 $2.75 for each ribbon with no set up fee and NO minimum order. 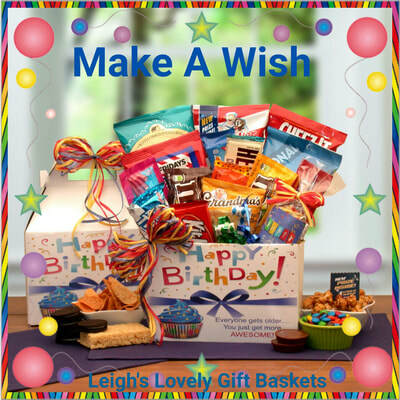 Click the banner to connect for full ordering details. 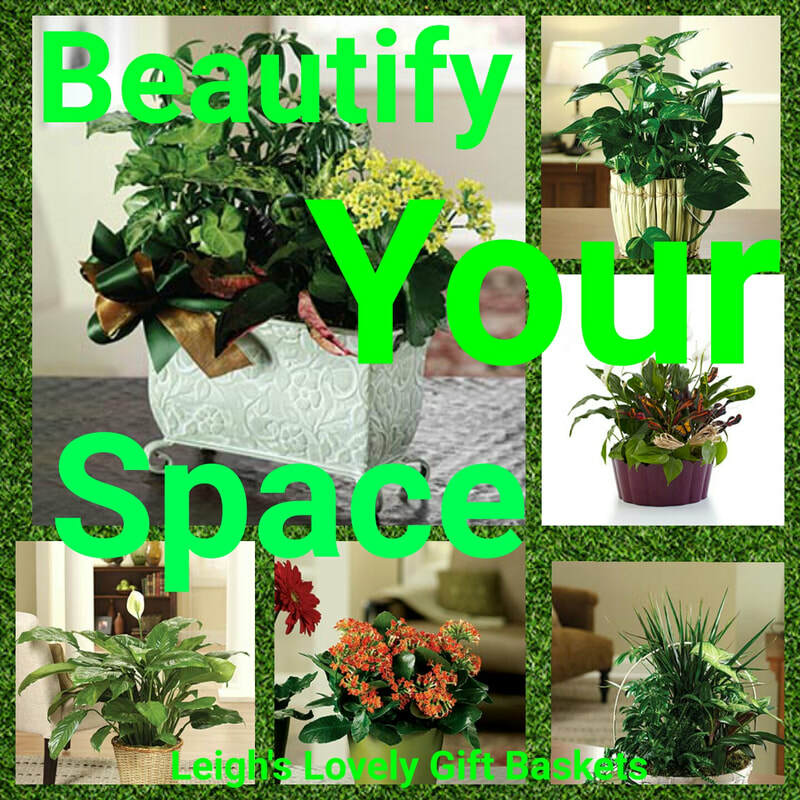 Beautify your home or office with any of these lovely plants available with Same Day Hand Delivery Service! 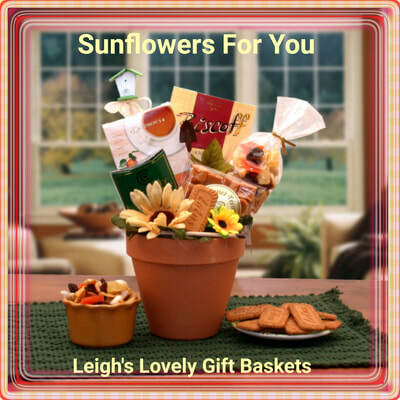 Banner connects to the Sunshine Garden planter in the upper left corner. 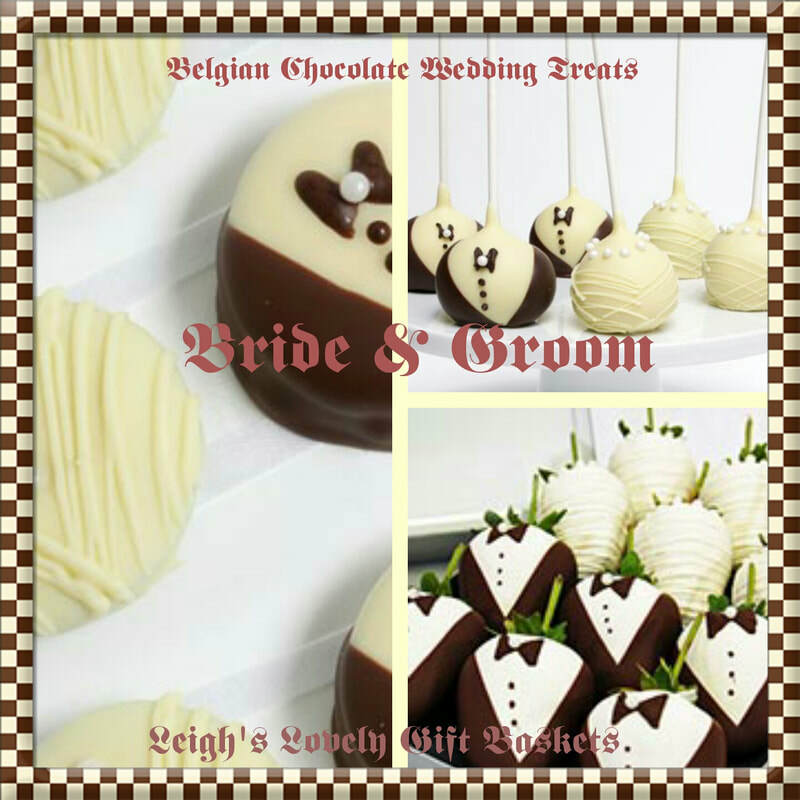 Elegant Belgian Chocolate Covered Oreos, Cake Pops and Strawberries for Weddings! 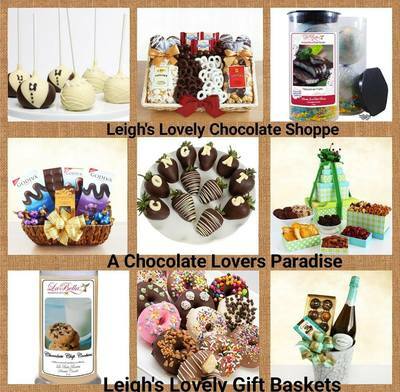 Click on the collage banner to connect to the Bride and Groom Oreo Cookies on the left. 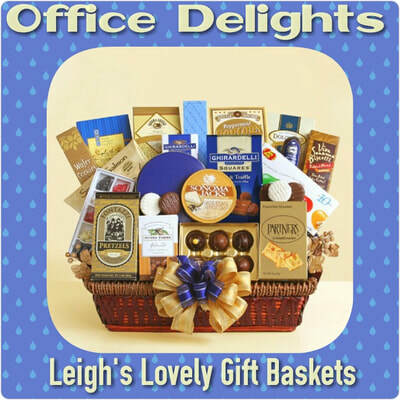 Click on the category heading to see all of the category selections. 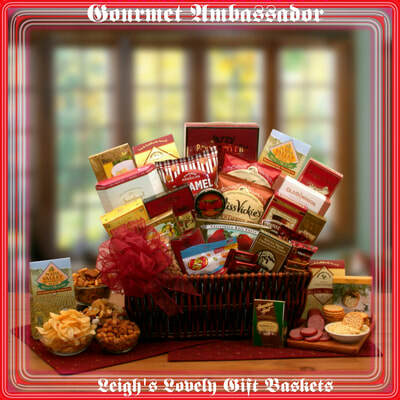 La Bella Baskets will select the shape that best fits your logo. 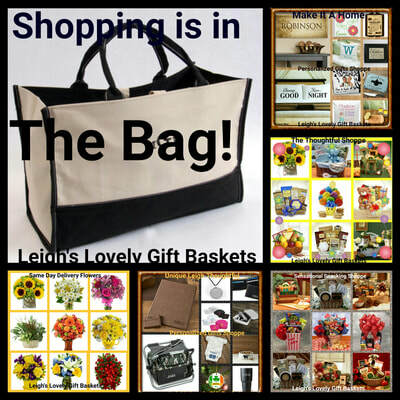 Click on the collage banner above to connect for more information and to order. 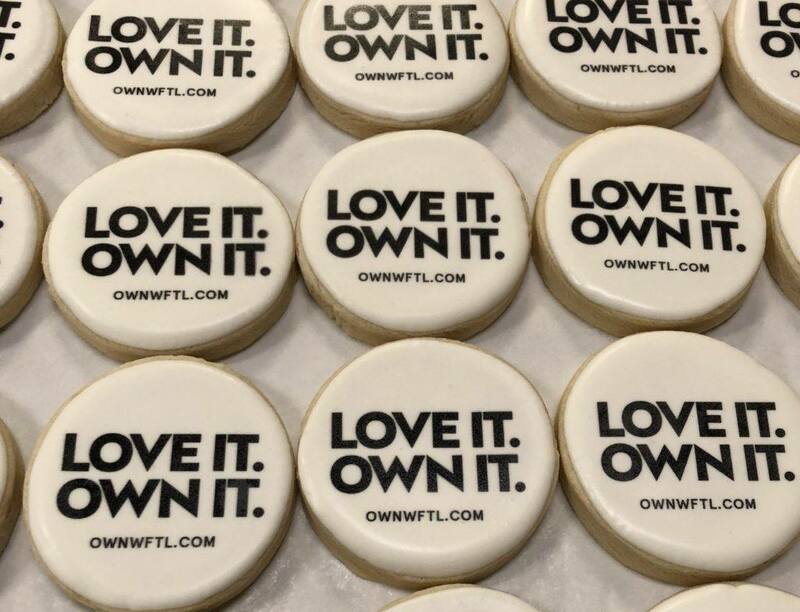 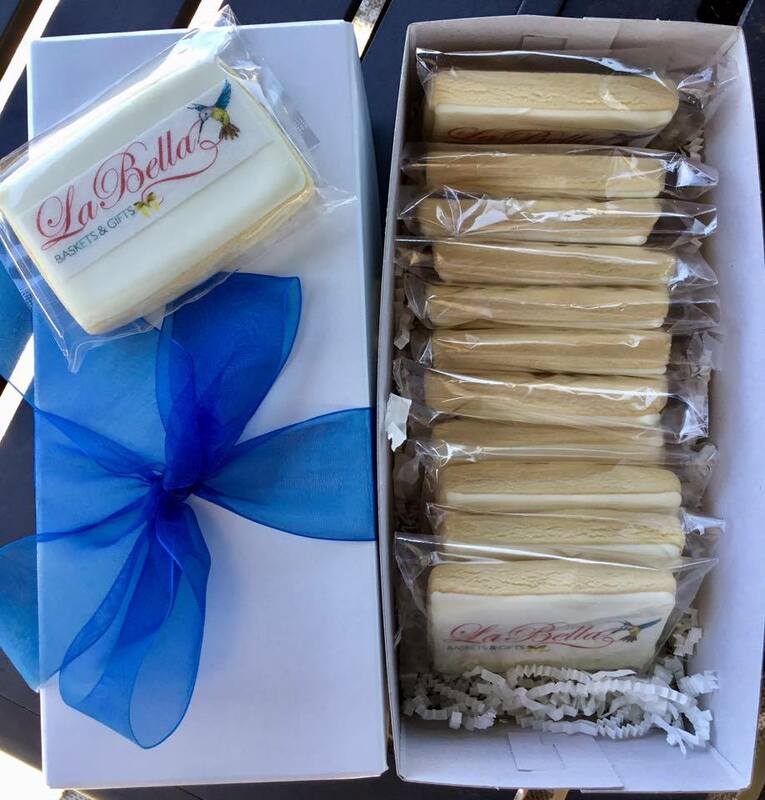 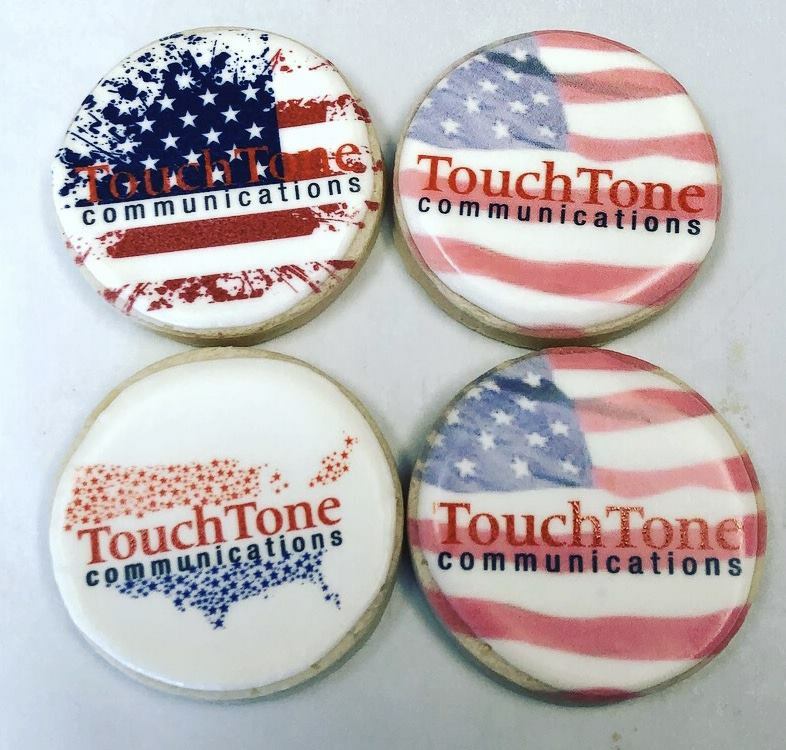 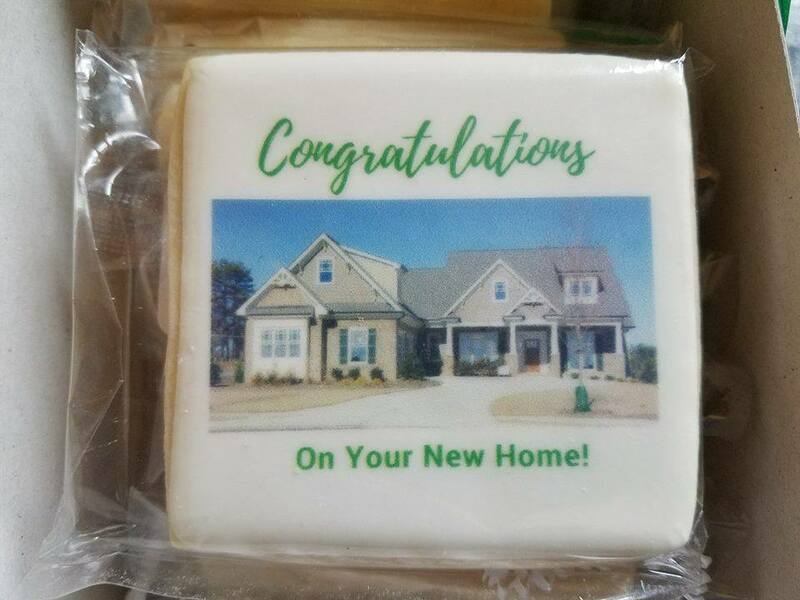 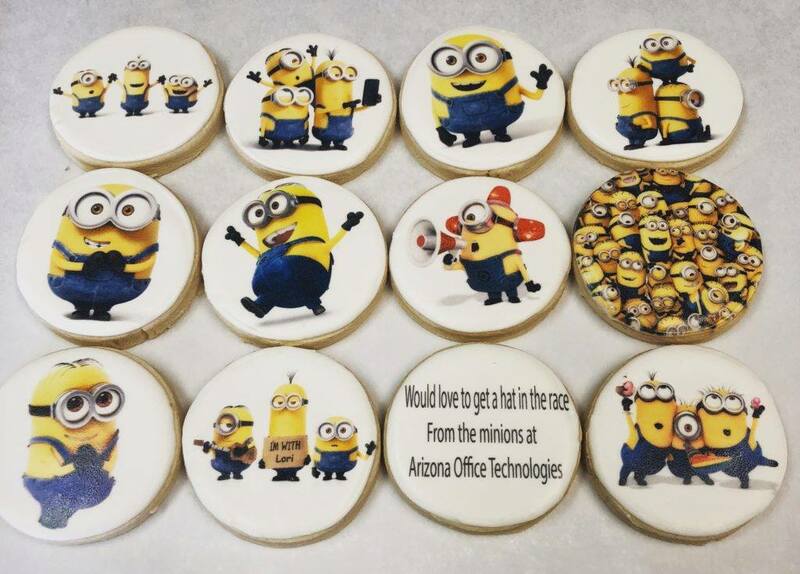 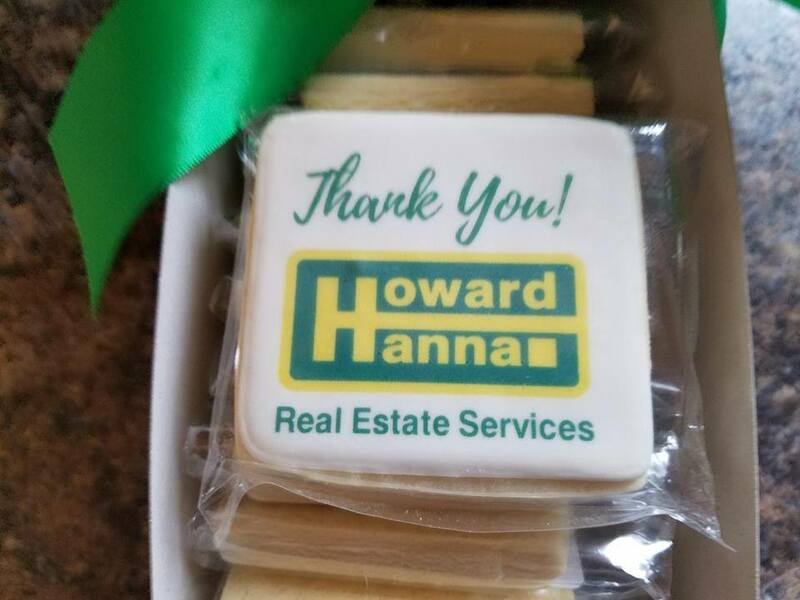 ​Impress a client or show appreciation with a customized logo or picture printed on glossy photo paper adhered to a silvery tin filled with nine delicious gourmet cookies. 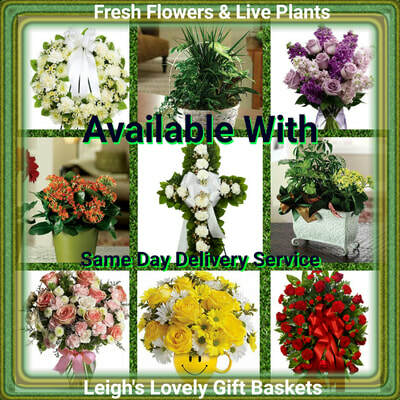 Fresh flowers and indoor plants with Same Day Delivery Service available to residence and business addresses, hospitals, nursing homes and funeral homes. 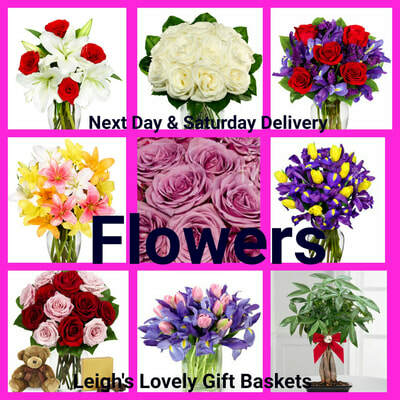 Next Day Delivery & Saturday Flowers Order before 10 am EST for delivery via UPS .Flowers arrive in a long box with vase and preservative packet. 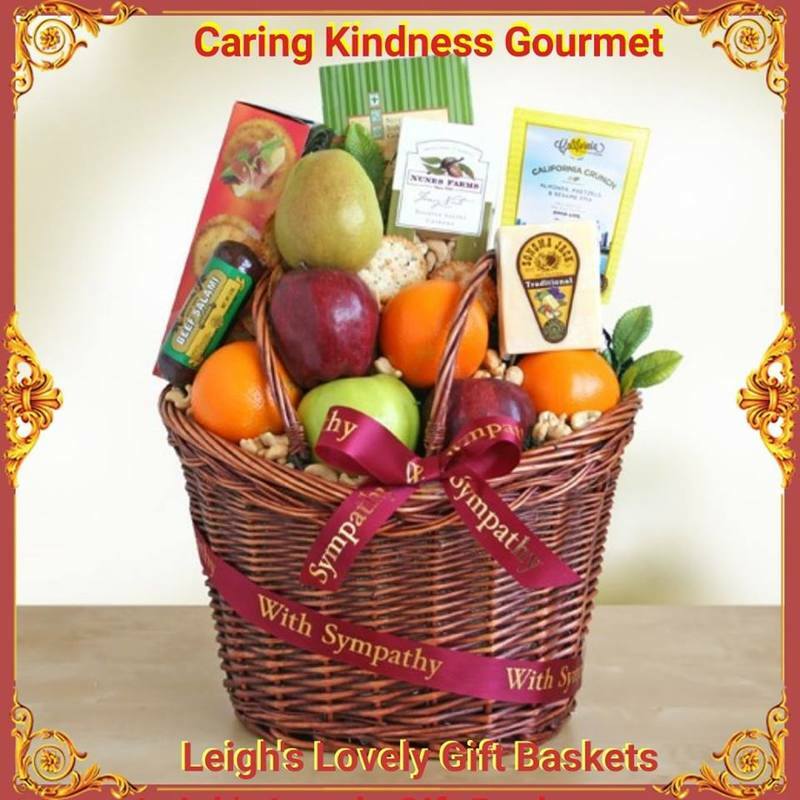 No delivery to hospitals, nursing homes or funeral homes. 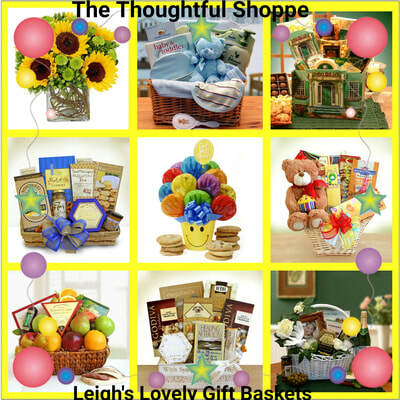 Click to connect to The Thoughtful Shoppe to find gifts for every occasion! 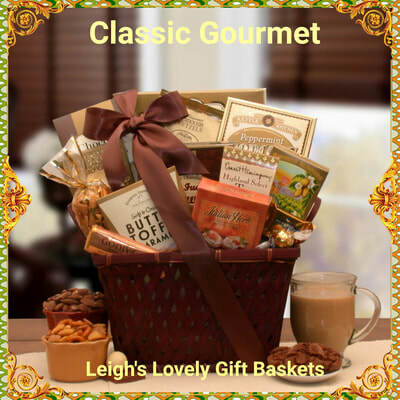 Click here to shop for chocolate gifts for every occasion! 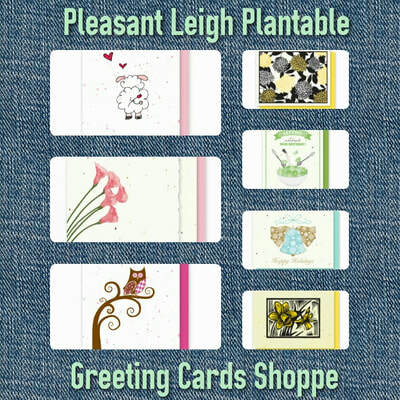 Click here to shop for Greeting Cards that grow flowers, herbs or vegetables for any occasion! 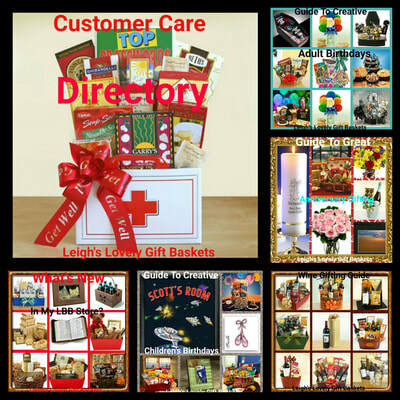 Visit my Facebook Business Page to shop conveniently from this photo gift album. 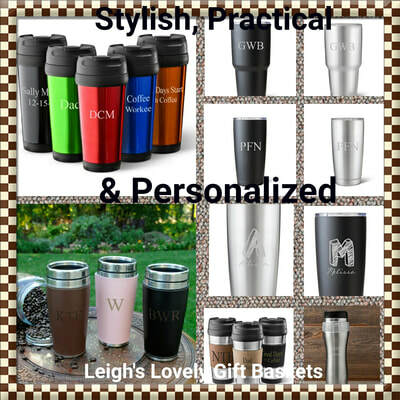 Visit my Facebook Business album to conveniently shop for stylish travel mugs. 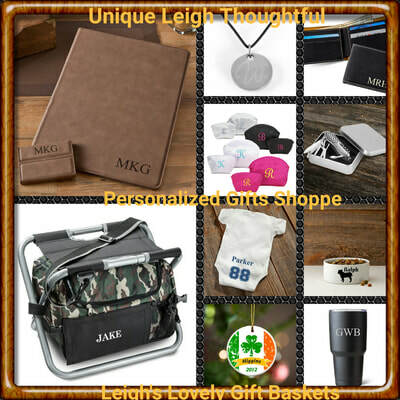 Click here to visit Leigh's Facebook Business Page album to shop for personalized business accessories. 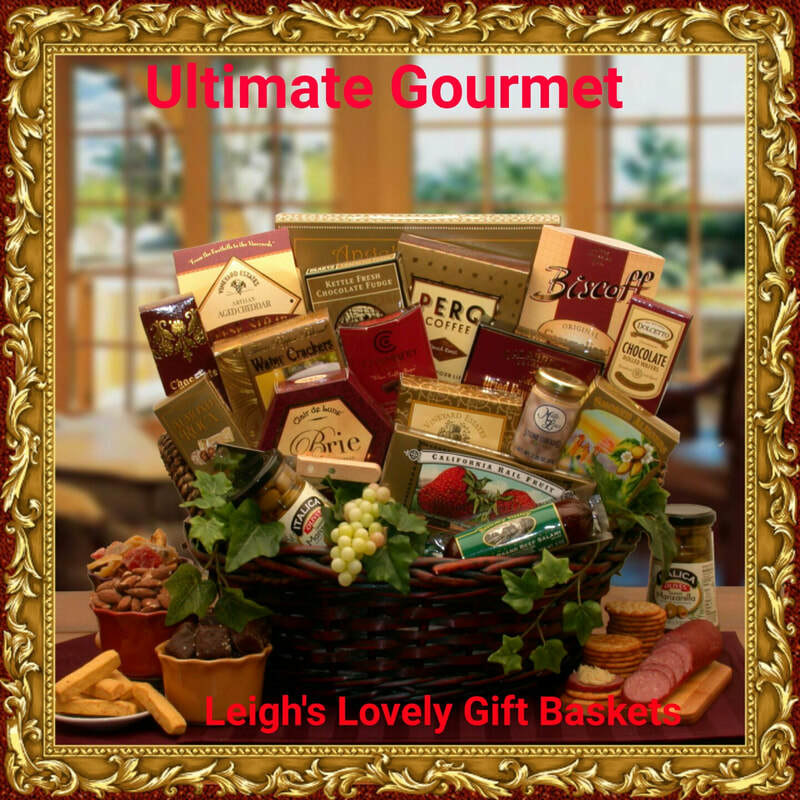 Classic Gourmet Gift Basket $85.99 Perfect for any occasion! 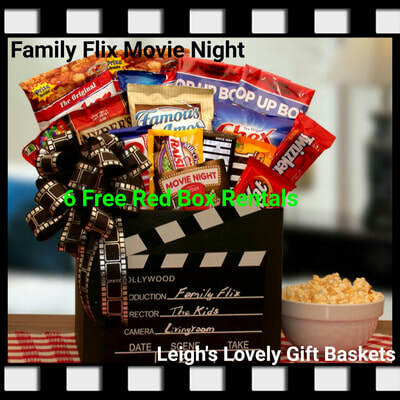 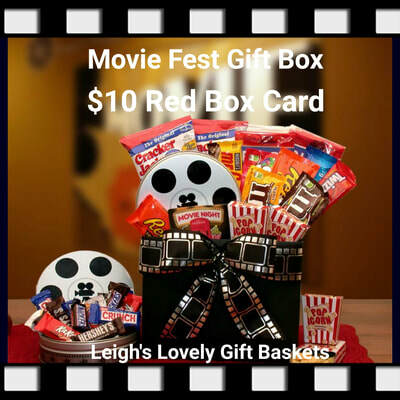 Family Flix Movie Night and Red Box Gift Card $72.99 Great family gift idea or movie lover! 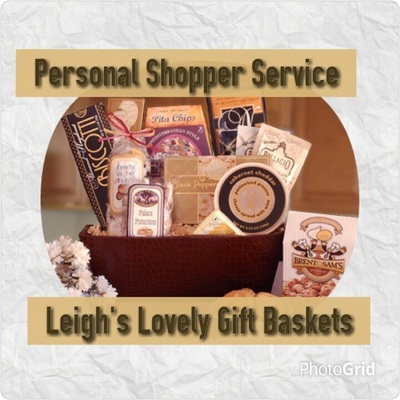 Personal Shopper Service. 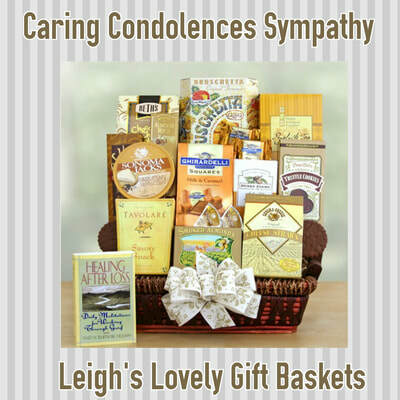 Click on this link to visit Leigh's Customer Service Page for this service and others available. 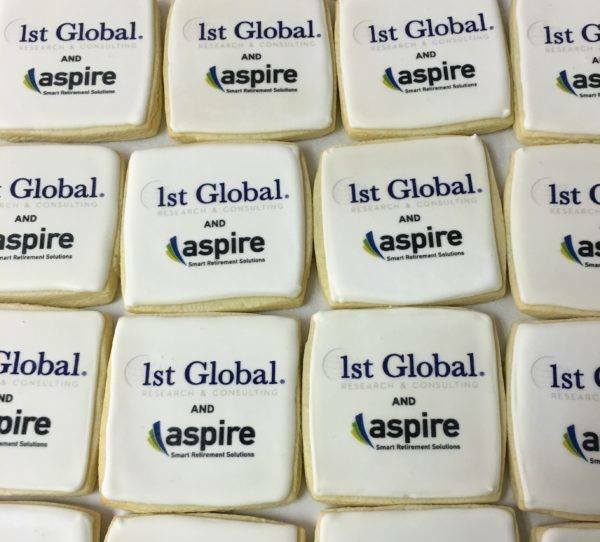 Corporate Club Membership Free for Businesses of any size. 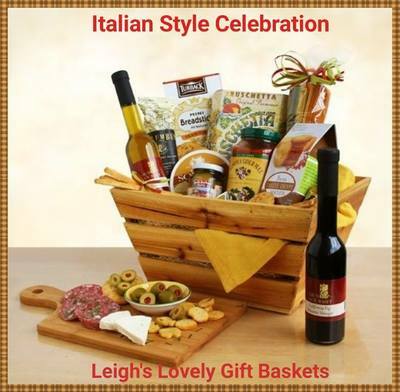 Click on this banner to connect to the sign up form on my La Bella Baskets Ordering website. 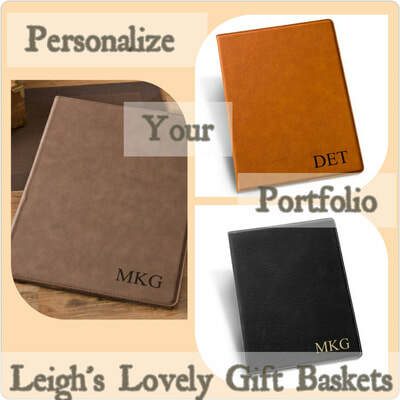 Fill in and submit the form and begin saving 20% on every gift order for an entire year! 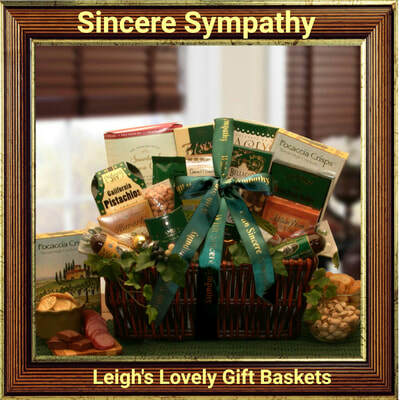 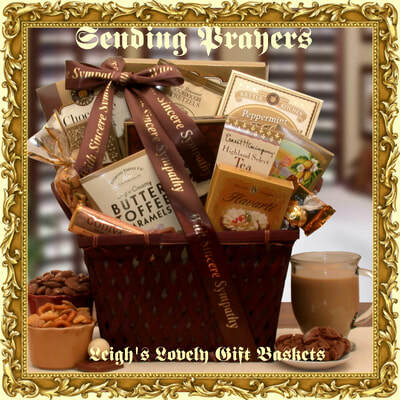 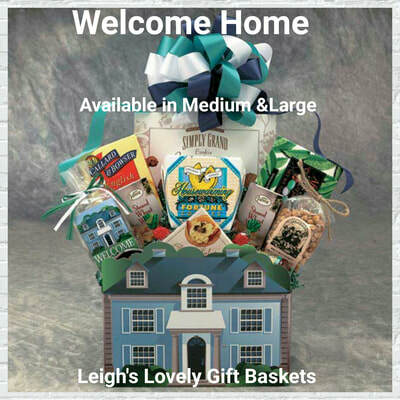 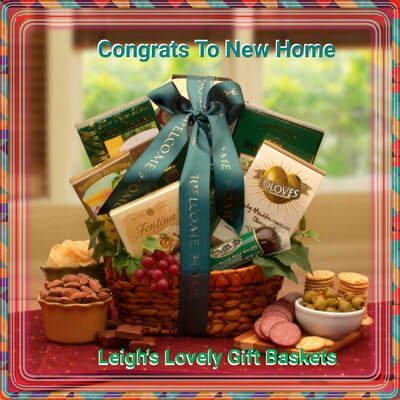 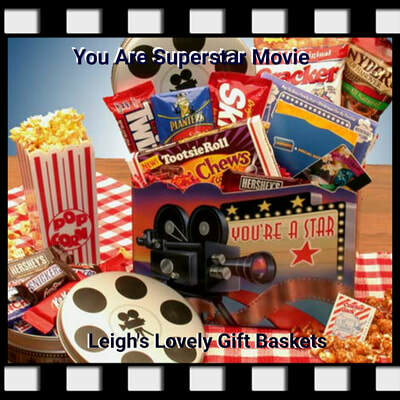 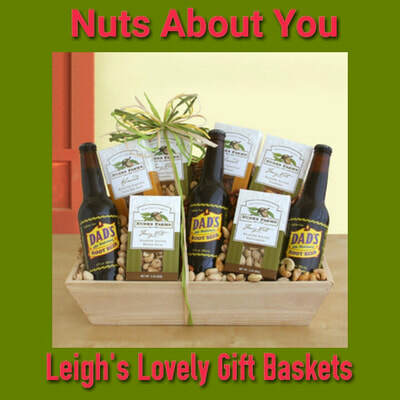 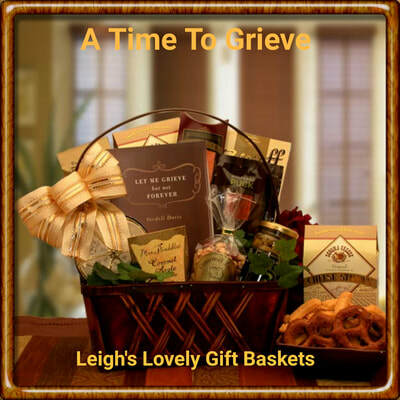 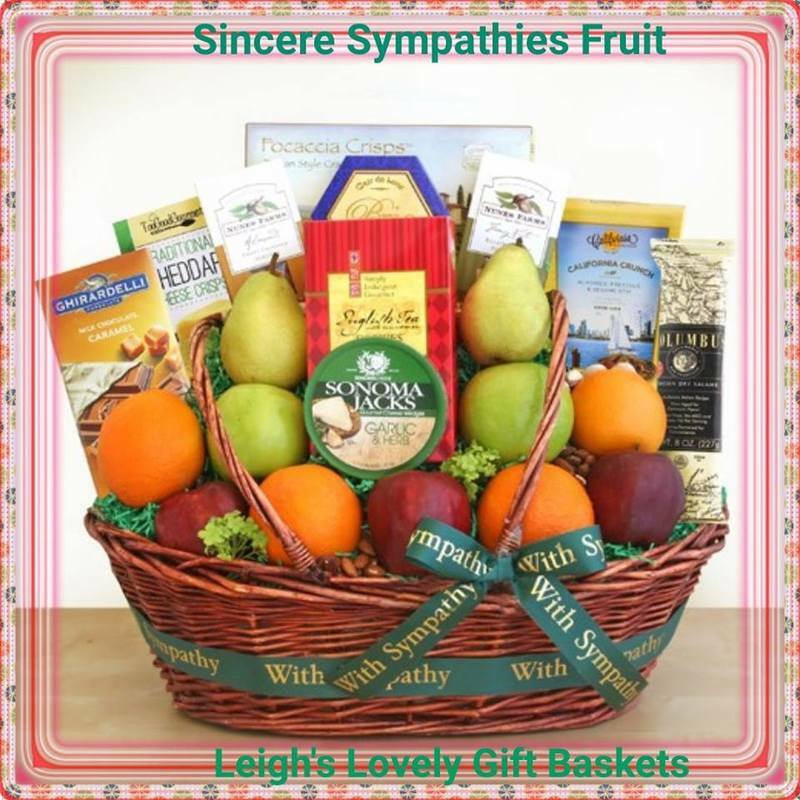 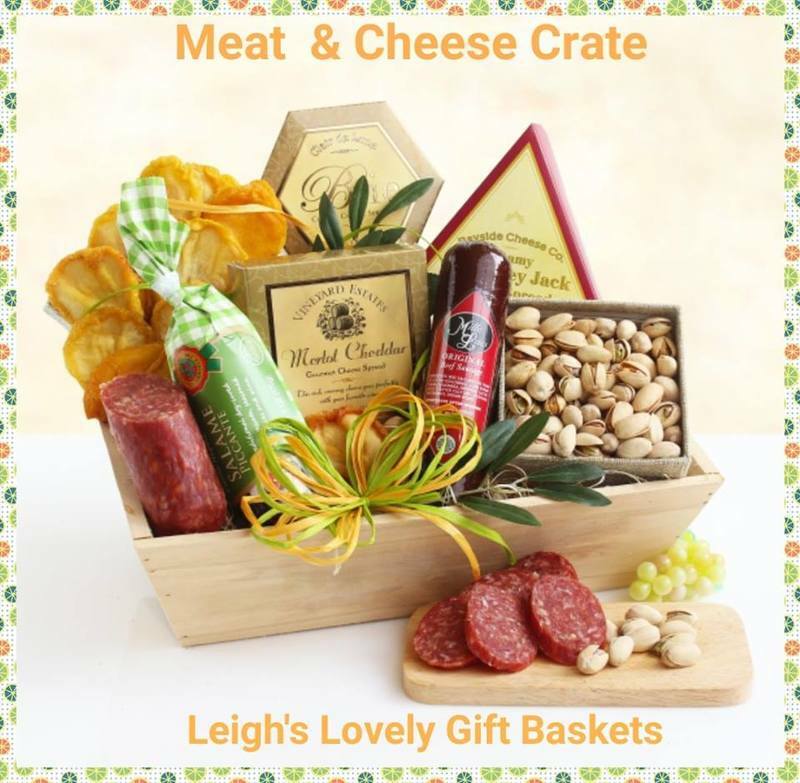 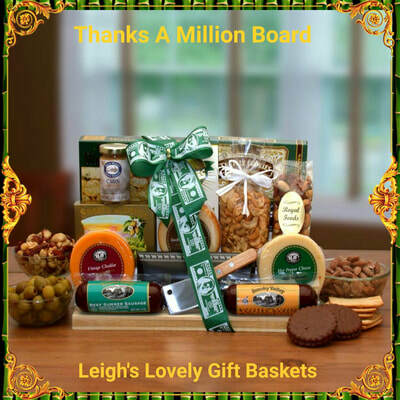 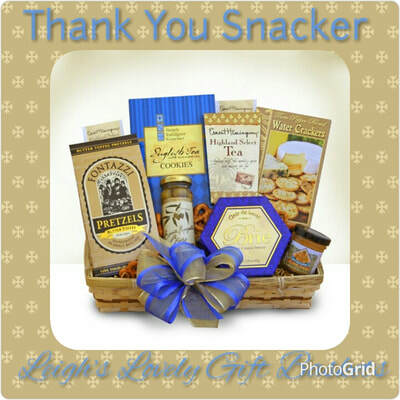 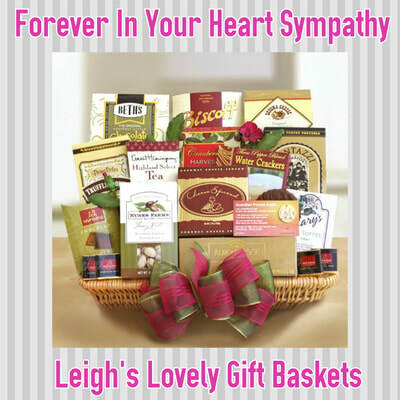 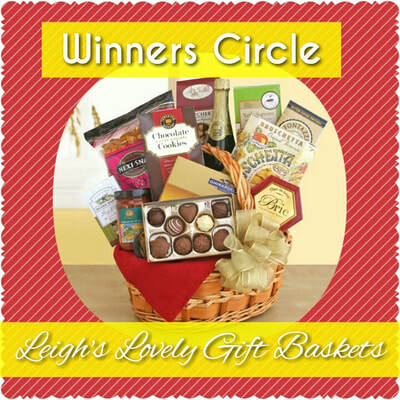 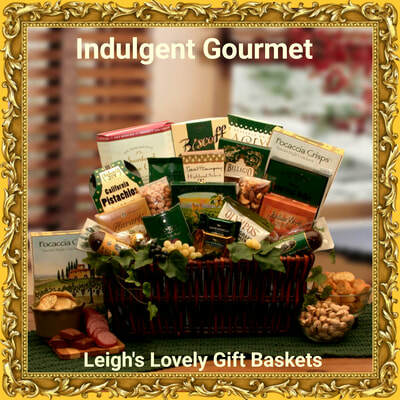 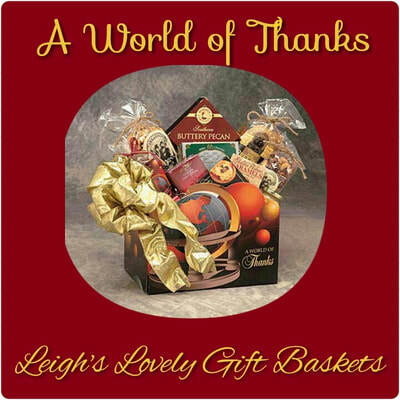 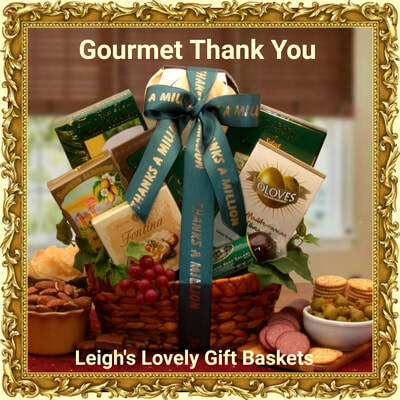 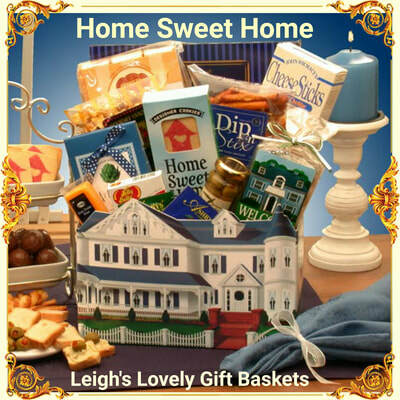 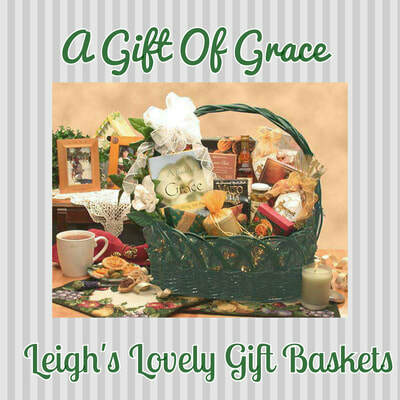 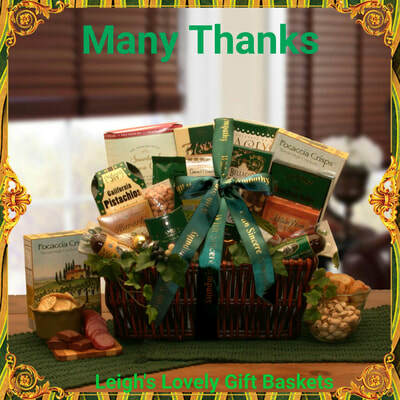 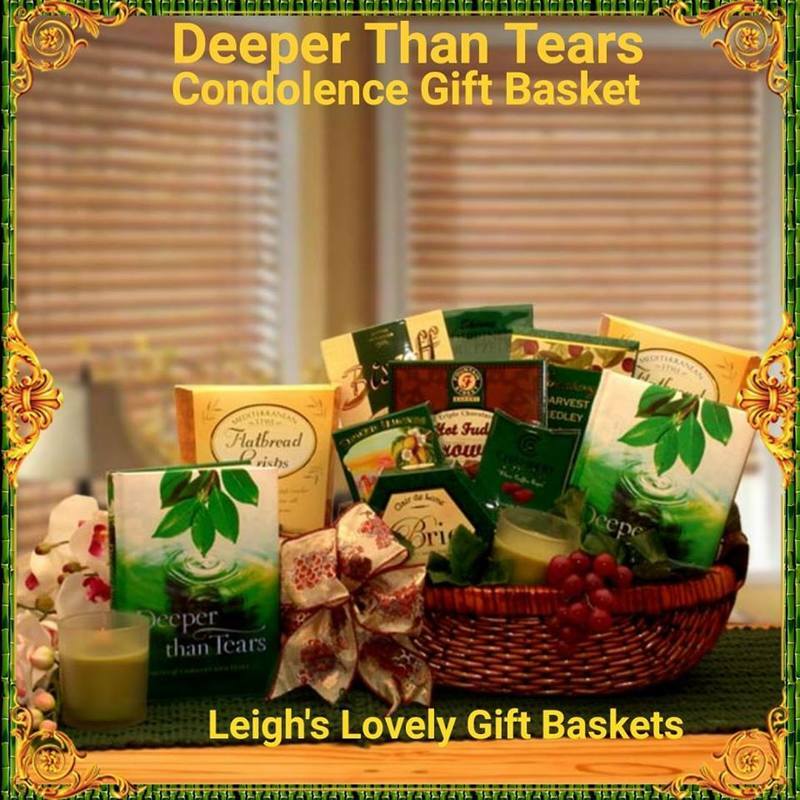 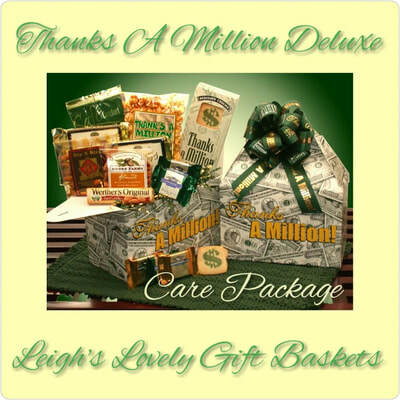 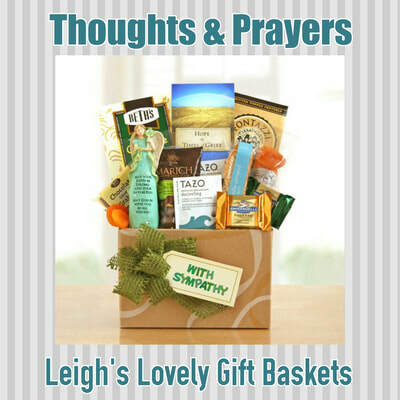 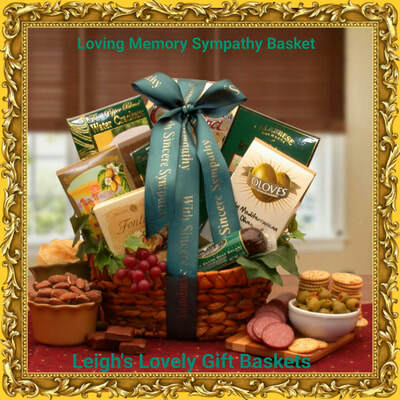 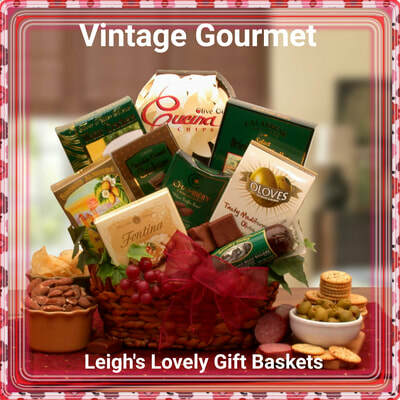 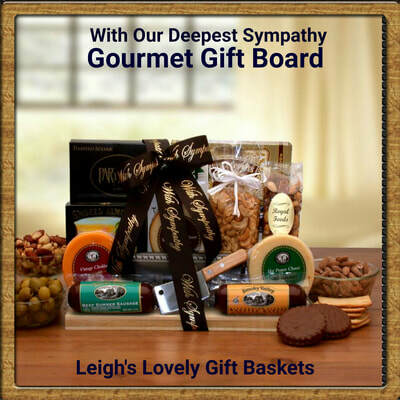 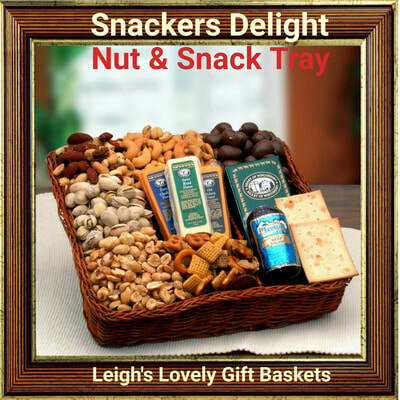 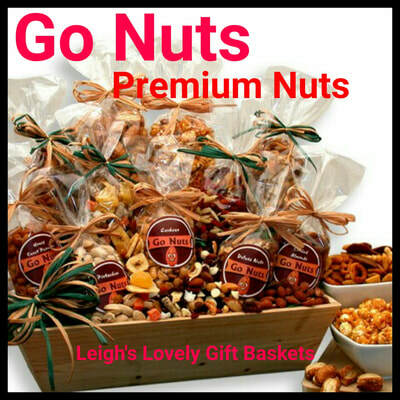 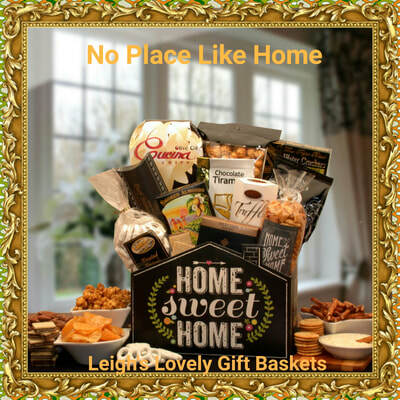 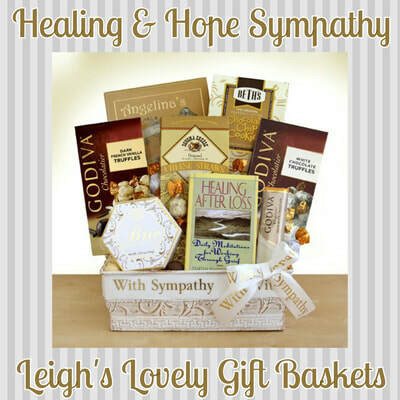 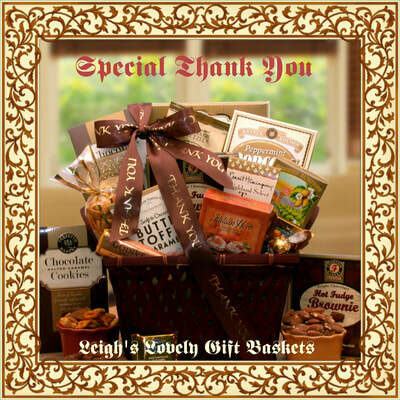 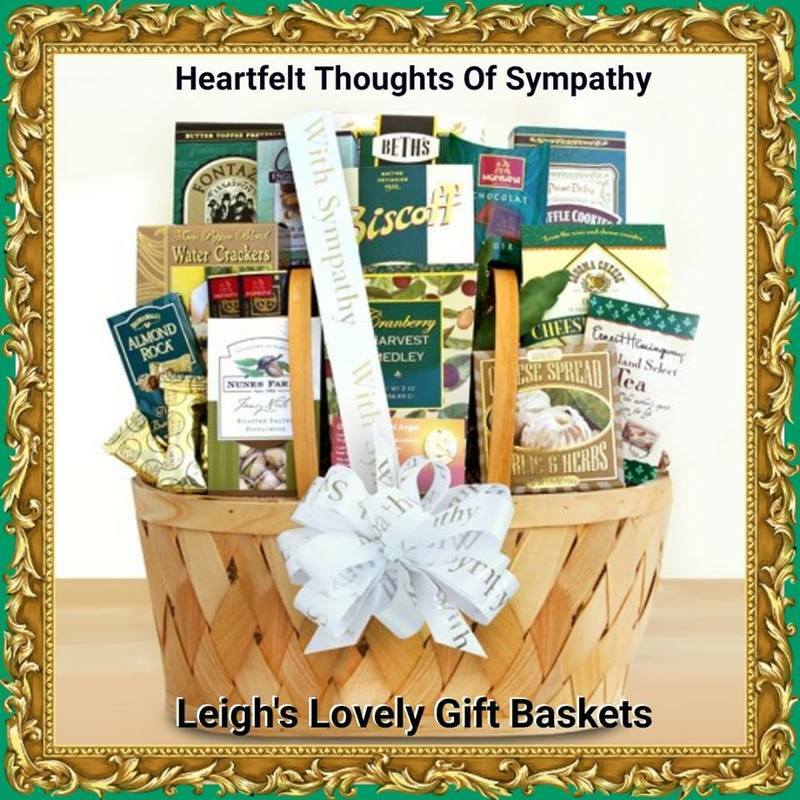 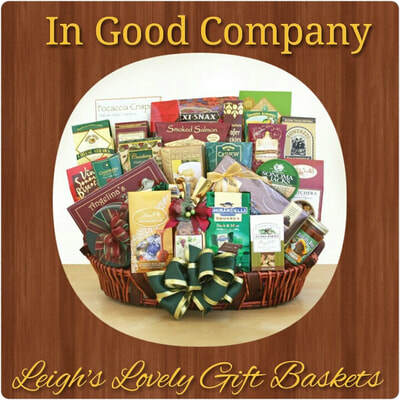 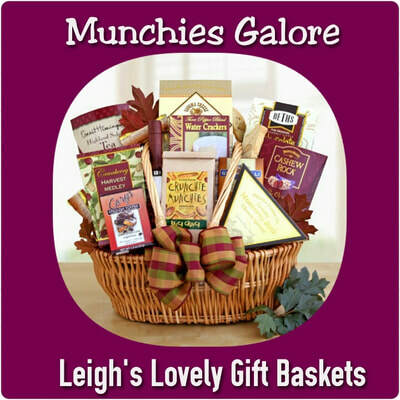 Thank you for visiting Leigh's Lovely Business Gift Services Page! 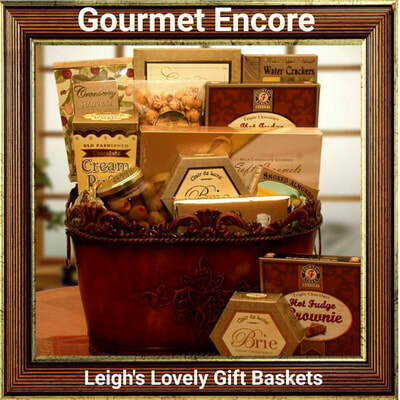 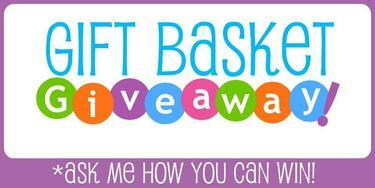 ​I look forward to serving your business and personal gifting needs!